Skip straight to the Force Touch demo if you’re in a rush. webkitmouseforcewillbegin fires before mousedown for a Force Touch enabled event. webkitmouseforcechanged fires when the pressure changes during a mousedown event. webkitmouseforcedown fires when the pressure crosses the threshold of what counts as a forced click. The MouseEvent.WEBKIT_FORCE_AT_FORCE_MOUSE_DOWN constant holds this threshold for reference. webkitmouseforceup fires when the pressure stops crossing the threshold of what counts as a force click. 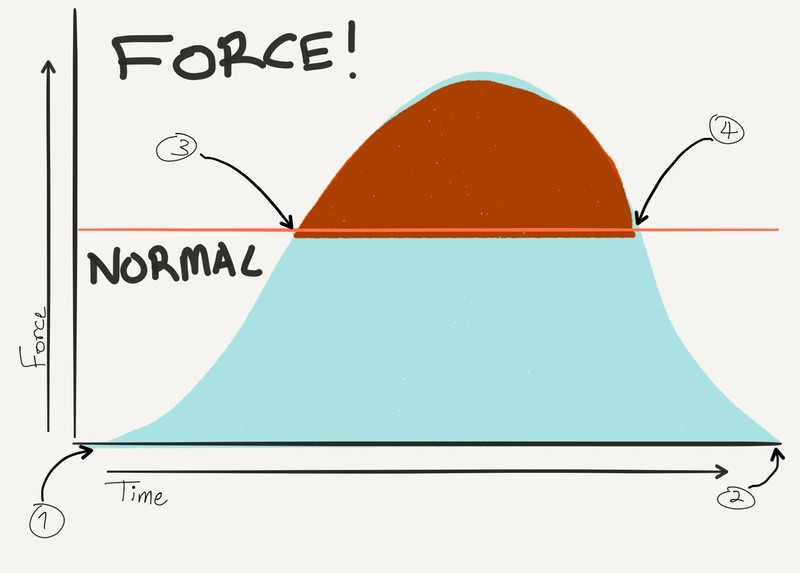 Handling the forcedown and forceup events aren’t necessarily required, they are convenience events triggered when the force on a click crosses the FORCE_AT_FORCE_DOWN value. This shows timeline of (1) webkitmouseforcewillbegin, (3) webkitmouseforcedown, (4) webkitmouseforceup, (2) mouseup events firing. Note that these events do not trigger on 3D Touch devices, i.e. iPhone 6s models. Those use touch events that are different. After that, everything is straight forward with existing event bindings ala obj.on(webkitmouseforcewillbegin, handle_force_begin). In the demo, the force property is kept on the object. Press to generate a mouse down (red background). The object scales if you’re using a Force Touch input device and Safari 9. Demo responds to Force Touch, which are specific new events, not 3D Touch, which passes new information with touch events. Like this demo? Check out the gist. Want more information like this in your inbox? Subscribe to updates.